Here’s a thought for you ….. read on, it will all become clearer (we hope). In the beginning we were One. One made Two and so we were “Two”, then tragically back to “One”, and then another Two joined us. At some time the second Two made Three (plus others, but thats another story for another day … still with us, concentrate!). We remained “Three” for many years, then sadly One left us for the Rainbow Bridge, and Three and Two just became “Two” again. But then Two made Two more (plus others … again,later) and then we were “Four”. And then …. one of Two’s earlier “makings” came back to us and we made “Five”. 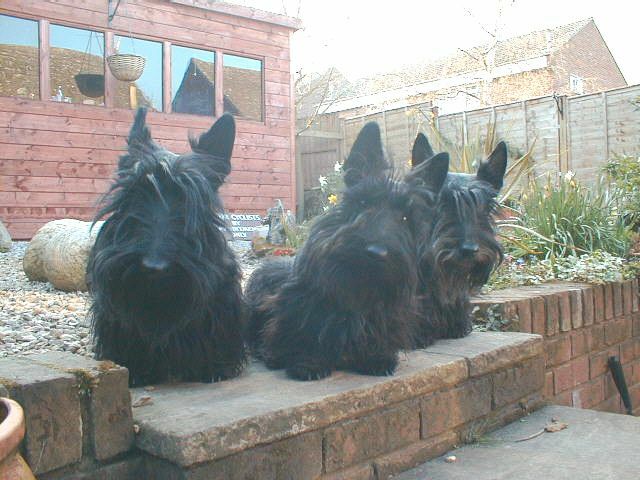 For a couple of years we were very happy, but then Three had to leave us for the Rainbow Bridge, quickly followed by the second Two, and that left us back at “Three”. We “Three” are the Sparhawk Scotties bringing to you these weird blogs – but that’s not the reason we started this one. The real reason for this blog is when we were “Four” and “Five”, nearly everyone who saw us stopped and said to our Mama “you’ve got your handsful there!” and they still do even though we are now only “Three” – probably ‘cos we are a handsome trio. So what do you guys get called when you’re about and about? 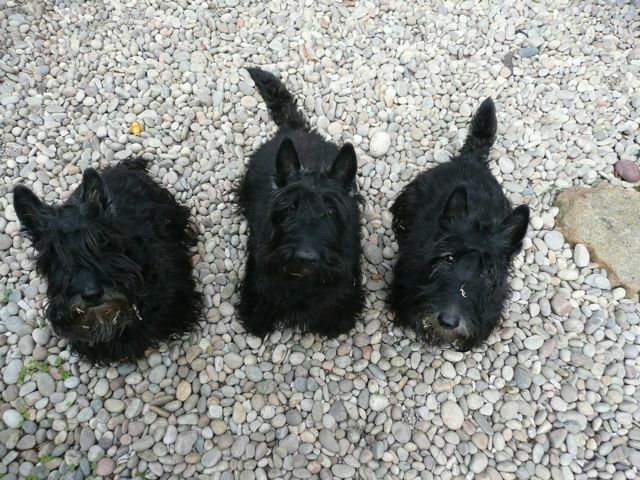 And what should we call a collection of Scotties? Let’s hear what you all think and share our thoughts. We’re three as well, but we’re just a boring one, two, one, two, three….People always stop to admire us and tell Her SHE has HER hands full…..as if we’d be a problem or something….imagine.